WHY GO: Travelers making a pit stop in Fredericksburg VA on their 3 hour drive between Washington DC and Williamsburg VA are often disappointed. Not because the town is not worthy of their time. It’s that they have not allotted enough time to this soaked-in-history place. As the end point of navigation on the Rappahannock River from the Chesapeake Bay, Fredericksburg was establishedd in the early 1700’s as a thriving port city. In 1738, George Washington’s father, Augustine, moved his family to land across the river, where a ferry, in a location now marked “Washington’s Ferry,” took him back and forth from home to Fredericksburg. 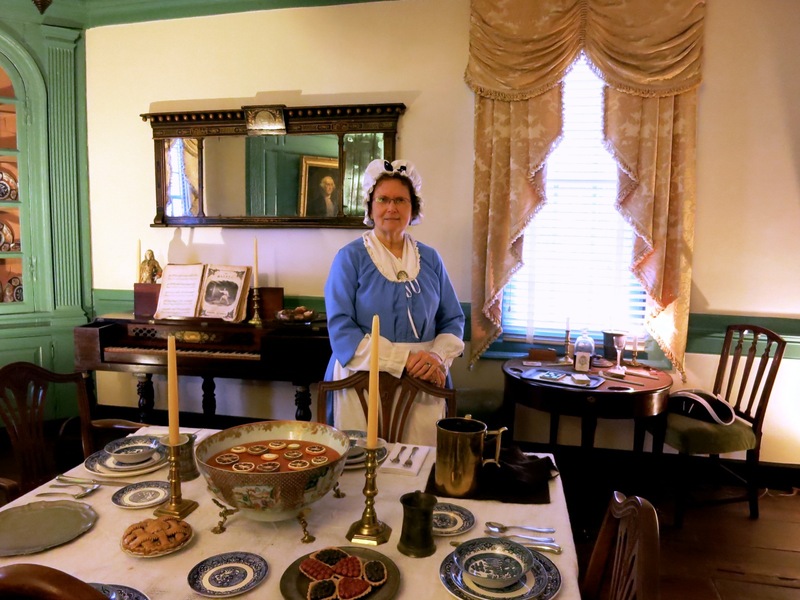 George Washington lived here from age six, and both his mother, Mary, and his sister, Betty Washington Lewis owned Fredericksburg homes, now open to the public for tours. There were four major Civil War Battles in the area– it was a strategic location, equidistant (50 miles) from Washington DC (Union base) and Richmond VA (Confederate base), with the Rappahannock River a barrier between the two. The three Church spires that Civil War soldiers could see while marching into town still stand – and remain the highest points on the Fredericksburg skyline. And now, the town teems with culinary artists, boutique inns, and fine independent shops. Fredericksburg draws celebrities to its classy, professional dinner theater, and is home to one of the best small-batch bourbon distilleries in the country. So, don’t make the mistake that many Williamsburg-bound travelers make. Plan to stay a few days. You’ll be happy you planned ahead. TOUR: Hallowed Ground Tours. If you just have a day to explore Fredericksburg history, you’ll want to enlist the formidable skills of Scott Walker, “Tourmaster.” He will custom-design an itinerary for your preferred timeframe (both in real time, and in the historical sense), and weave stories about the area so adroitly, you’ll come away with a visceral sense of Fredericksburg history. I was most interested in the Civil War Tale of Stonewall Jackson’s Arm, so Walker took me on a thrilling “timeline tour” of this very strange episode in history. I stopped into the following attractions with him, but you can visit each on your own. 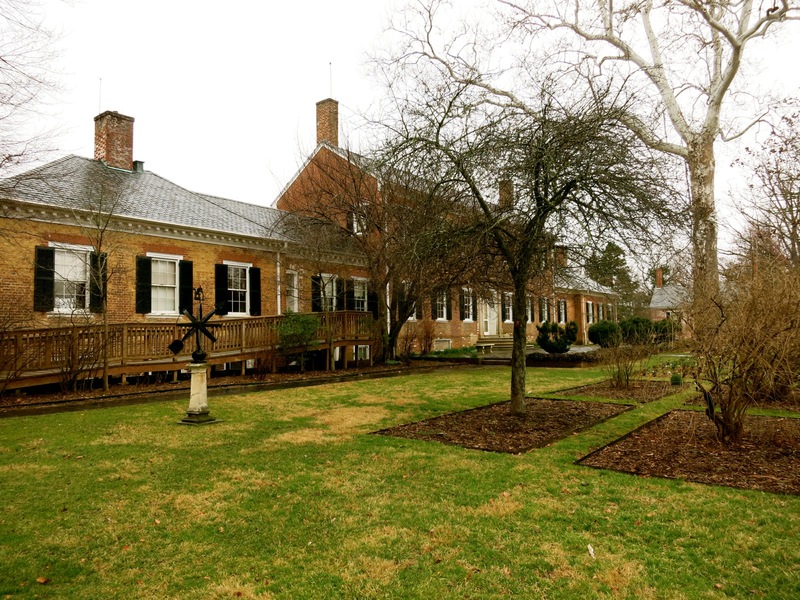 VISIT: Chatham Manor. This homestead is notable for having hosted three Presidents – Washington, Jefferson, and Lincoln. Built in 1770’s for William Pitt, the Earl of Chatham, it was owned by Horace Lacy during the Civil War when Lincoln came to call. Like all large homes and buildings of the day, Chatham became a Civil War hospital, where Mary Edwards Walker, the second female medical doctor in the country (and first to receive a Medal of Honor), healed the damaged soldiers. Walt Whitman also served as nurse here. His poem, The Wound Dresser, draws graphically and poignantly on this experience. 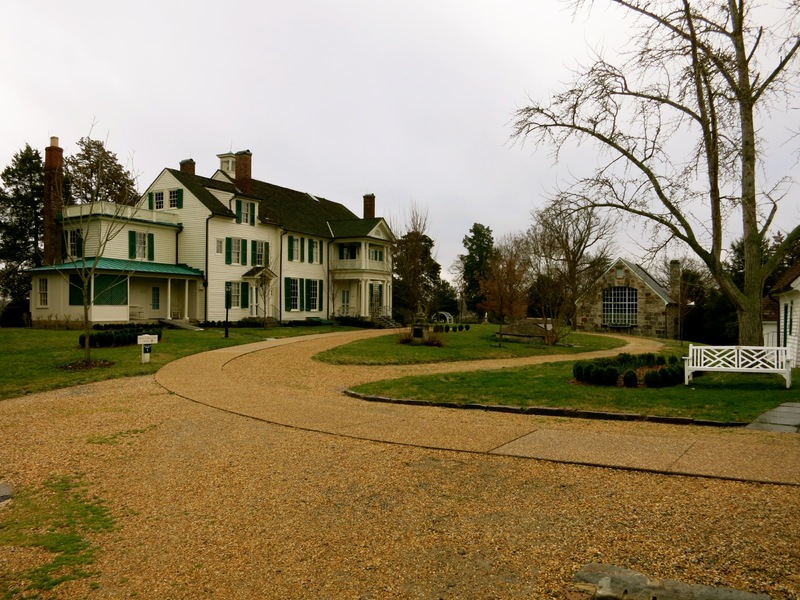 While the war was raging, Fredericksburg was a war zone, so Horace Lacy moved out of town to a relatively modest farm home he called Ellwood Manor. 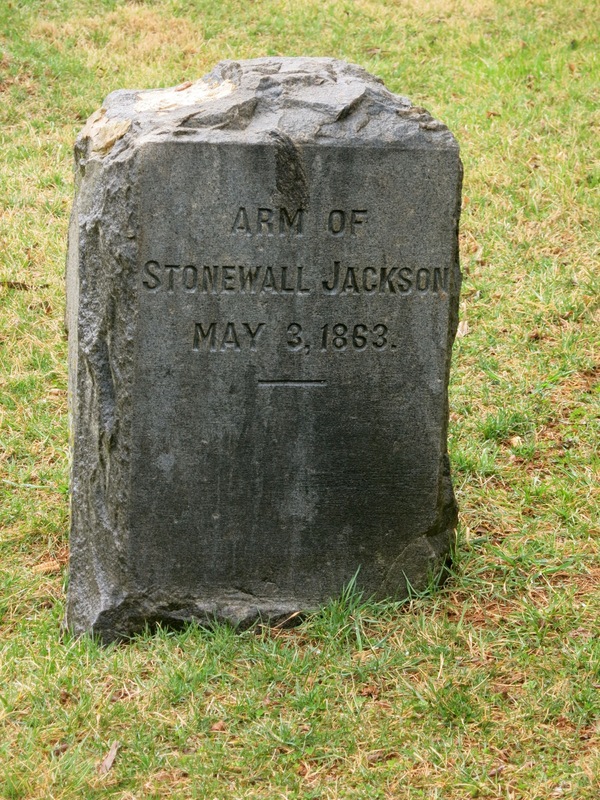 This would prove important in the tale of Stonewall Jackson’s amputated arm. The view from the terrace – across the River into Fredericksburg – hasn’t changed much, and it’s worth the short jaunt just to see it. 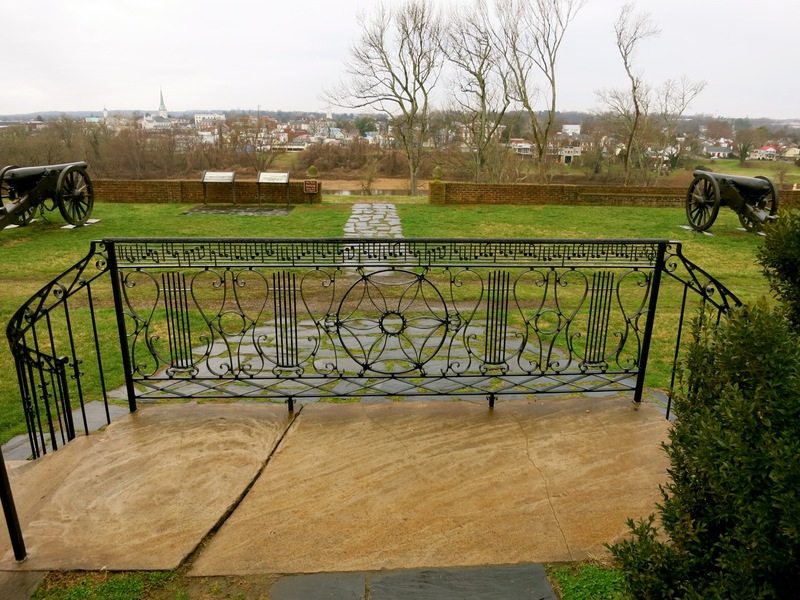 Chatham’s last owner, General Motor’s Executive, John Pratt, improved the house and grounds (a decorative musical-note iron fence plays out “Home Sweet Home”). When the National Park Service took over the mansion, other important interior elements were discovered and preserved. 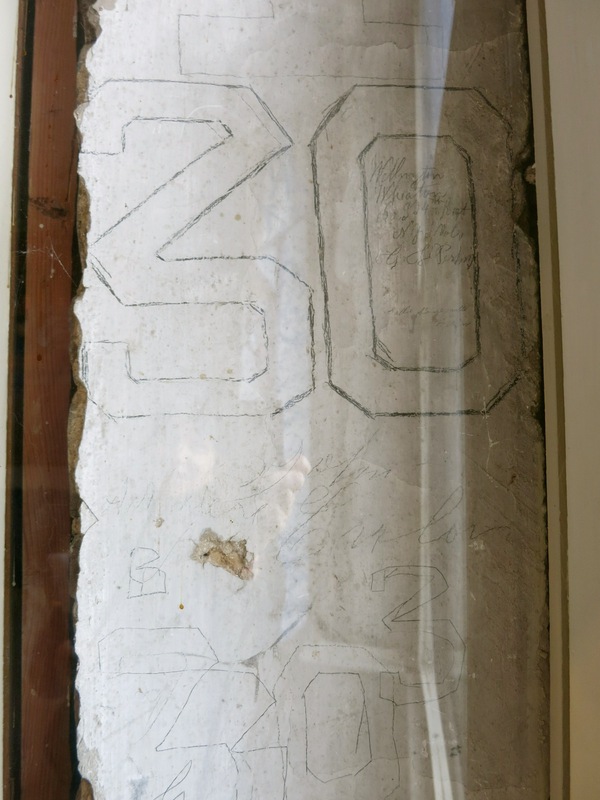 The most photographed is Civil War graffiti on original plaster walls – etched by members of the 30th Infantry. Open daily 9-4:30, free. 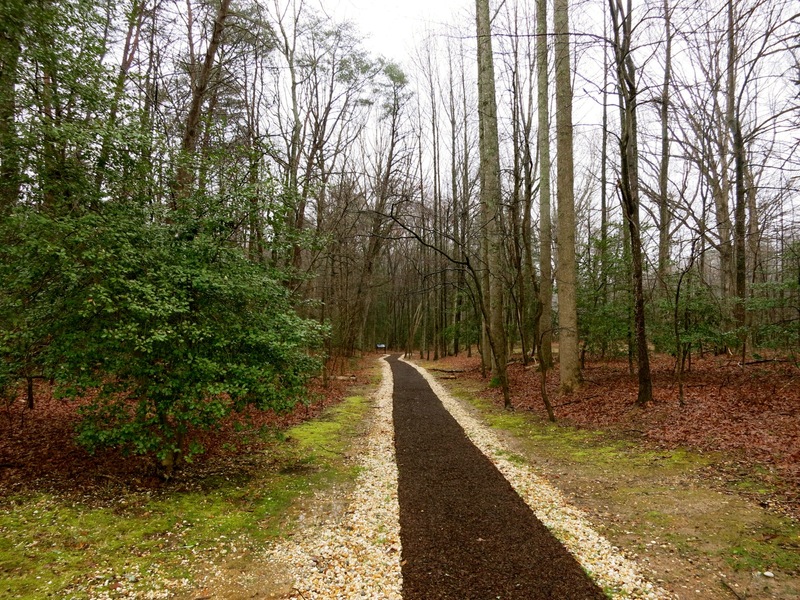 VISIT: Battle of Chancellorsville NHP and Visitors Center. One hundred thirty thousand Union soldiers faced off against 65,000 Confederates during 2 ½ weeks in May 1863. Who won? Not the obvious side. Smack dab in the midst of the four-year war, this battle featured celebrity General, “Stonewall Jackson” (see Manassas), and General Robert E. Lee (who at this point was not as well known as Jackson), who together hatched a plan to outfox an army more than twice the size of theirs. As you make your way through the park, you’ll find remnants of a past industry. Augustine Washington came to Fredericksburg because he knew that there was iron ore all around – a “cash crop” smelted locally in iron furnaces, some of which can still be found intact. Tons of trees were felled to fuel the smelters, clearing land for farming. But this area wasn’t cut. These uncut tangles of foliage were referred to as “wilderness” – and a good place for Confederate troops to hide while advancing on their opponents. While Lee pretended to diddle on the main road with a few thousand soldiers (fooling Union officers into believing those were his only men), Jackson marched his line of 30,000 soldiers twelve miles around the vulnerable Union flank. This strategy resulted in the second bloodiest day in Civil War history – with 21,000 casualties in one day (vs. 23,000 at Antietam) – and a Confederate victory. It also proved fatal to Stonewall Jackson who was shot by his own men while on nighttime reconnaissance. Walk the path to the place Jackson was wounded, then spend some time in the Visitor’s Center, which tells the tale of this important and deadly battle. Jackson, barely alive, was taken by bumpy wooden ambulance to a field hospital on what is now Route 3/Plank Rd, along with his personal Chaplain, Beverly Lacy, Horace’s brother. There, Jackson’s arm was removed (there’s actually a plaque that marks the spot of “Jackson’s Amputation” on Route 3), and Lacy, knowing that his brother’s place, Ellwood Manor, was just up the hill, decided to bury the great man’s arm in a marked grave, rather than have it thrown unceremoniously on a heap of other discarded limbs. Jackson later died from his injuries. Open daily 9-5, free. 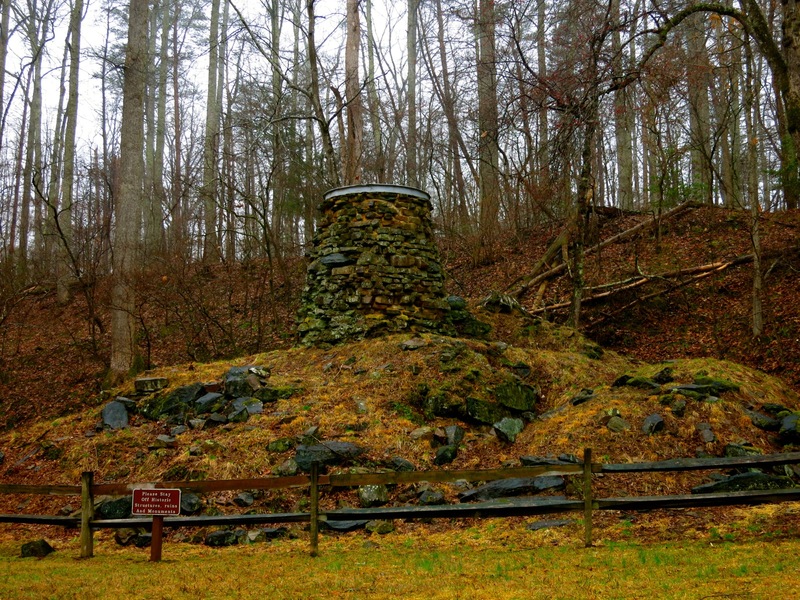 VISIT: The Grave of Stonewall Jackson’s Arm at Ellwood Manor. If the home is open, stop in. But otherwise, you can find the headstone for Jackson’s Arm past a hedgerow path and down into a field to the right side of the house. WALK: Around Town. Fredericksburg is saturated with Black history. 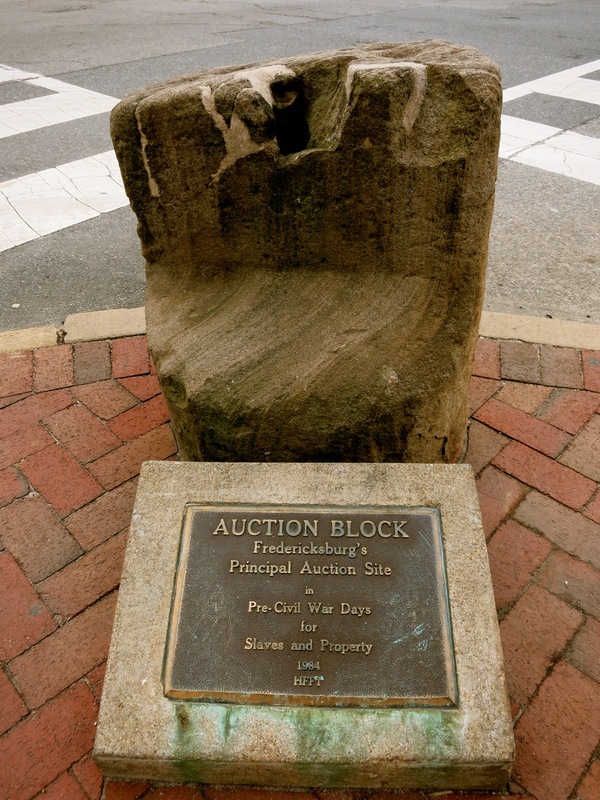 A Slave Auction Block remains on the corner of William and Charles Streets, a sad reminder of a thriving business. The diary of a literate enslaved Black man, John Washington, recounts Union Soldiers standing on the far side of the Rappahannock River, calling to slaves to cross to their freedom. “A most memorable night it was when the soldiers assured me that I was a free man,” he wrote on April 18, 1862. TOUR: Rising Sun Tavern. In costume, current manager Jo Atkins, channels Elizabeth Frazier, the wife of the first tavern keeper, John, who died, leaving Elizabeth to run the place. Built in 1760 for George Washington’s youngest brother, Charles, the home was turned into a Tavern in 1792 and operated as one until the 1820’s (at which point it became a private residence). Atkins stays in character through an illuminating, entirely entertaining 45-minute tour of the only prosperous tavern in Fredericksburg at that time. It was a place where ladies could enter and “not loose their reputation,” with a restorative sitting room where they would “repair damages to their appearance after a bumpy 50 mile carriage ride.” You’ll learn the origins of many weird words and phrases: Drink like a fish (a fish was stamped at the bottom of “stirrup cup” tankards), Here’s looking at you (glass base on drinking cups allowed imbibers to see the room even when drinking), and lots more. Open March – Oct. Mon-Sat 10-5, Sun 12-4, Nov-Feb Mon-Sat 11-4, Sun 12-4, $5 adults, $2 kids. 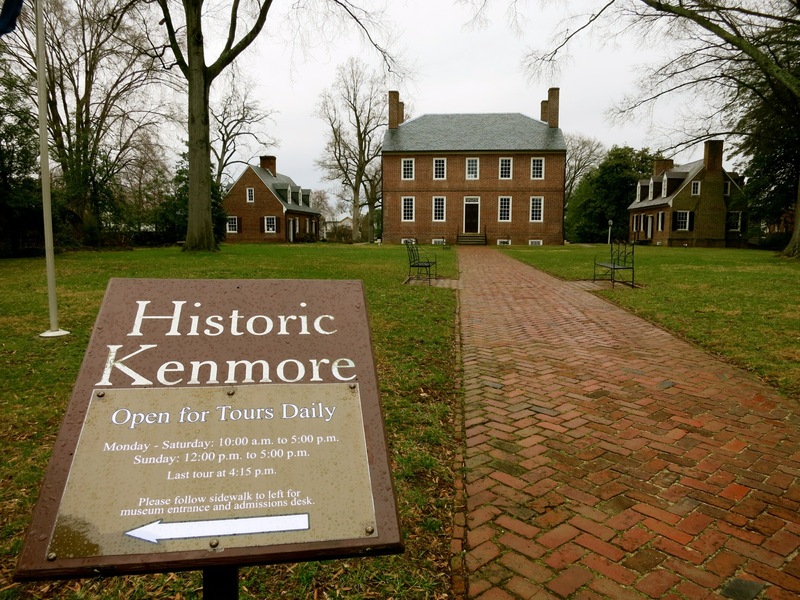 TOUR: Both the Mary Washington House (built by George for his Mom in 1771 Open March – Oct. Mon-Sat 10-5, Sun 12-4, Nov-Feb Mon-Sat 11-4, Sun 12-4, $5 adults, $2 kids) and Kenmore Plantation (home of sister Betty Washington) are open for tours. The façade of Kenmore still bears a cannonball. March through October: Monday – Saturday, 10:00 a.m. to 5:00 p.m., Sunday, Noon to 5:00 p.m. $10 adults, $5 kids. 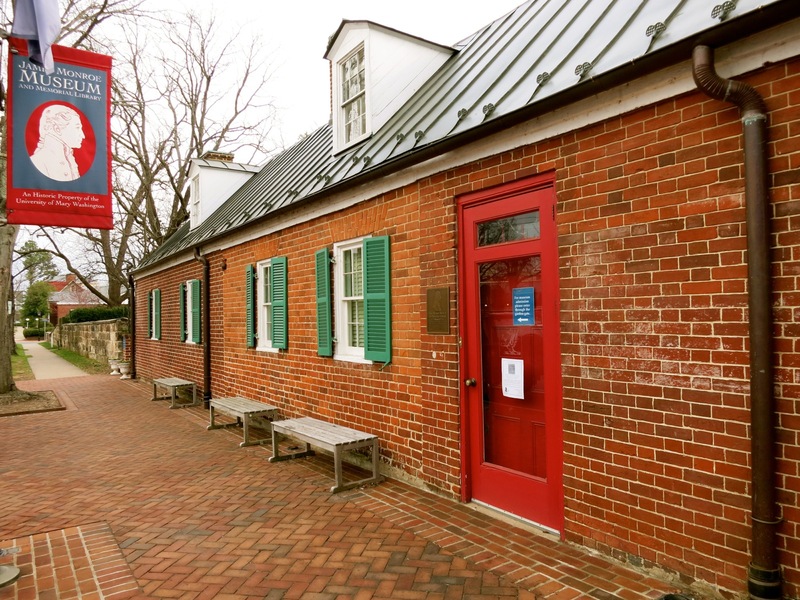 TOUR: James Monroe Museum and Library. Standing on a lot once owned by Monroe, this museum houses his artifacts and papers. TOUR: Belmont – the Gari Melcher Home and Studio. 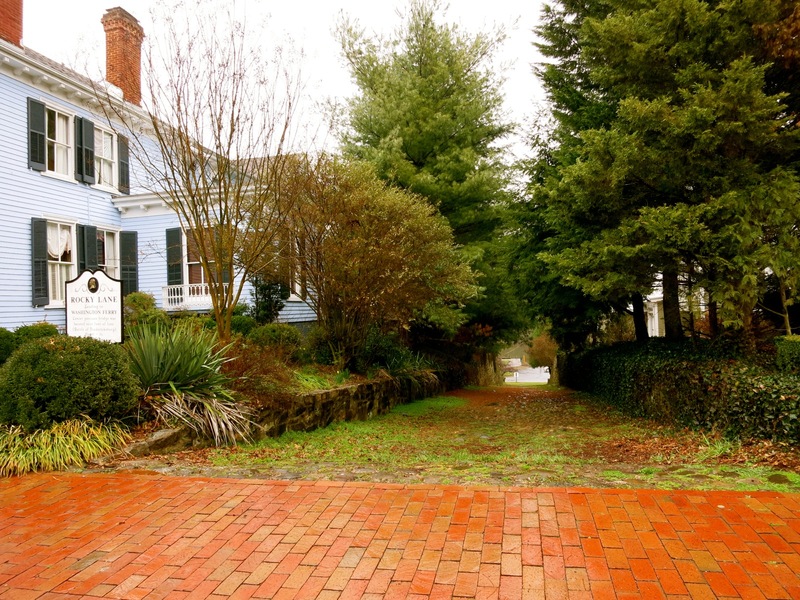 Purchased in 1916 by American Naturalist painter (contemporary of John Singer Sargent) Gari Melcher, this home and studio is perfect for art historians looking for an alternative to Civil War history. Open Thurs-Tues 10-5, $10. 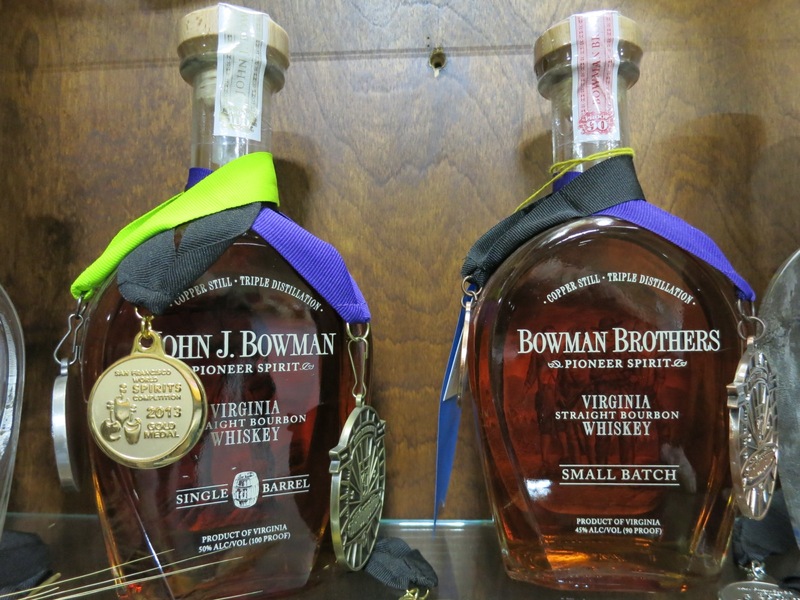 TOUR: A. Smith Bowman Distillery. Did you know that that authentic bourbon must be a) from the USA, b) 60% corn, and c) aged in brand-new charred oak barrels? After a one-hour tour in this repurposed cellophane plant (FMC closed in 1970’s), you’ll know all there is to know about the history of this company and the distilling and aging process. And of course, you’ll get to sample the goods. 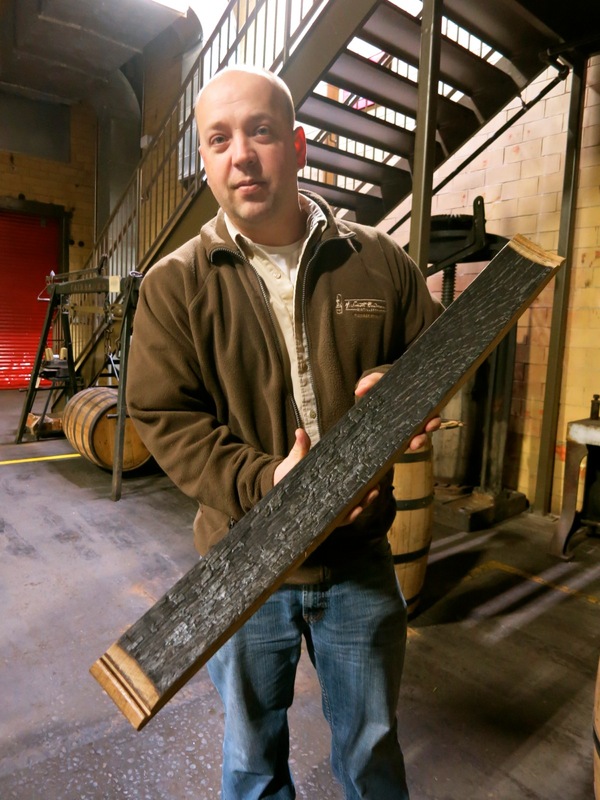 Master Distiller, Brian Prewitt, presides over this small-batch distillery. In the distilling room, stare up at two massive copper stills – “George” and “Mary.” Mary is the “workhorse.” George, which just went online in Jan. 2015 and, with its coiled piping, looks like something Willy Wonka and Captain Nemo would have dreamed up, is for experimental purposes. Nothing is computerized; all spirits are bottled by hand. 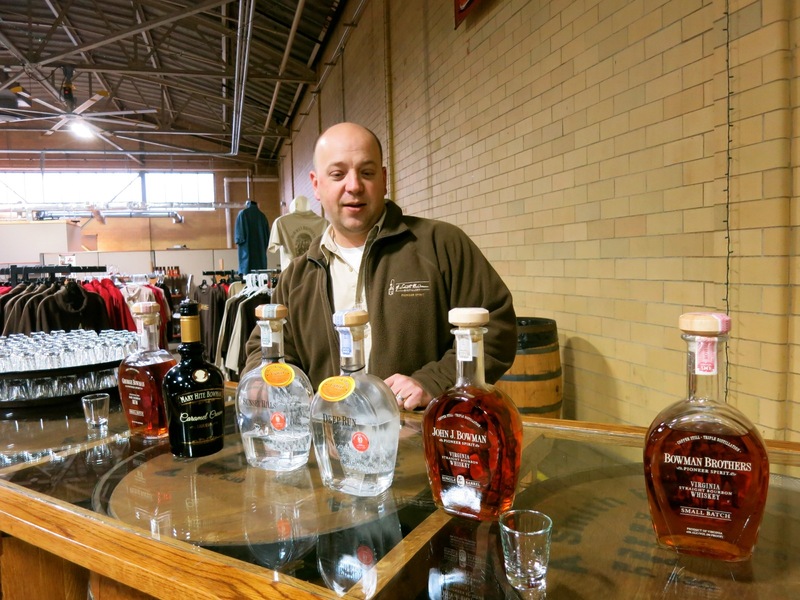 Of course you can purchase bottles of Vodka, Gin and Bourbon in the gift shop. But my favorite souvenir was a bag of bourbon-soaked charcoal ($5, small bag), which had flaked off inside of charred oak barrels during the aging process. It makes for the perfect barbeque enhancer. Open Mon-Sat 10-4. Free tours on the hour. DO/SHOP: Make Your Own Salt Scrub at Ladyburg. Owned by aesthetician, Crystal Wellman and her husband, Fred, Ladyburg makes buying custom scented soaps, lotions and bath products a blast. Walk in to a bright, colorful space, and choose your own scent or blends – then mix away. Prices are reasonable, and a Party Package for 8 costs just $299 and includes an 8oz Salt Scrub, 4 oz Body Mist, One Bath Bomb and a Bath Pouf each to take home. A great Bachelorette Party idea. DO: See a Show at Riverside Center. 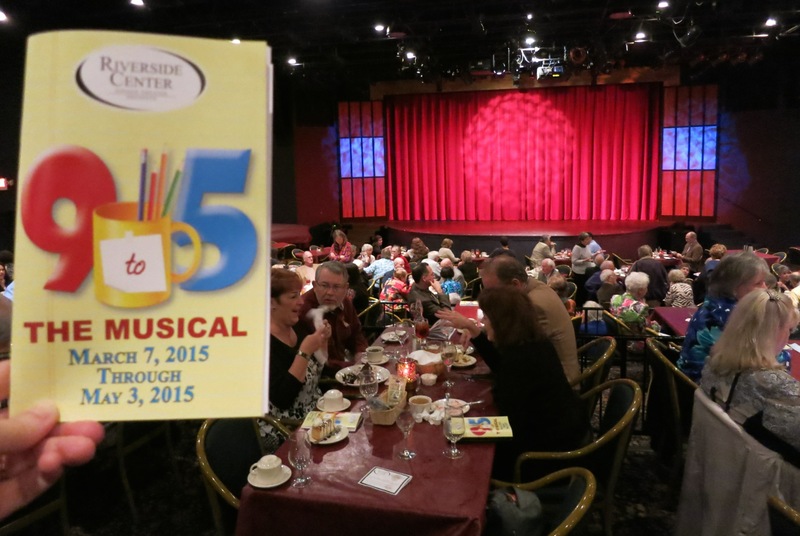 This is not your grandma’s dinner theater. Book a seat and you may very well see Sally Struthers vamping it up on stage. Broadway actor, Patrick A’Hearn, named Producing Artistic Director of the theater in 2014, launched the original Music of Andrew Lloyd Webber in Jan/Feb of that year, garnering a “huge response.” Lately, A’Hearn has been pushing the envelope on traditional dinner theater fare, with Spamalot, Steel Magnolias, and 9 to 5, starring an hilariously bawdy Sally Struthers. Tickets $69 with dinner (served by the cast members), $50 show only. WALK: Government Island/Stafford. 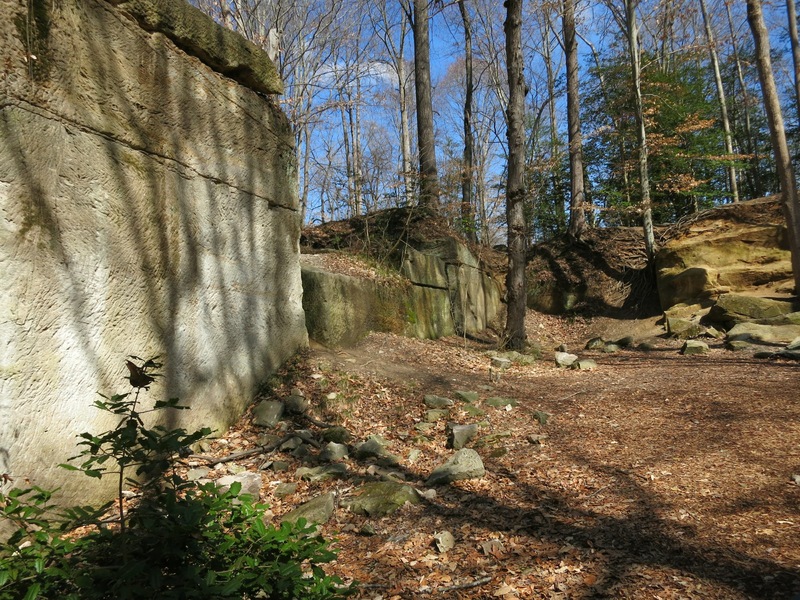 It’s about a 20-minute drive north on I-95 to the “Freestone” Sandstone quarry that supplied the building blocks for the White House and our country’s Capitol Building. Once an island (now silted in), a wide navigable creek circled Government Island, rendering it easy for quarrymen to load ships that would float out to the Potomac River and then on to DC. 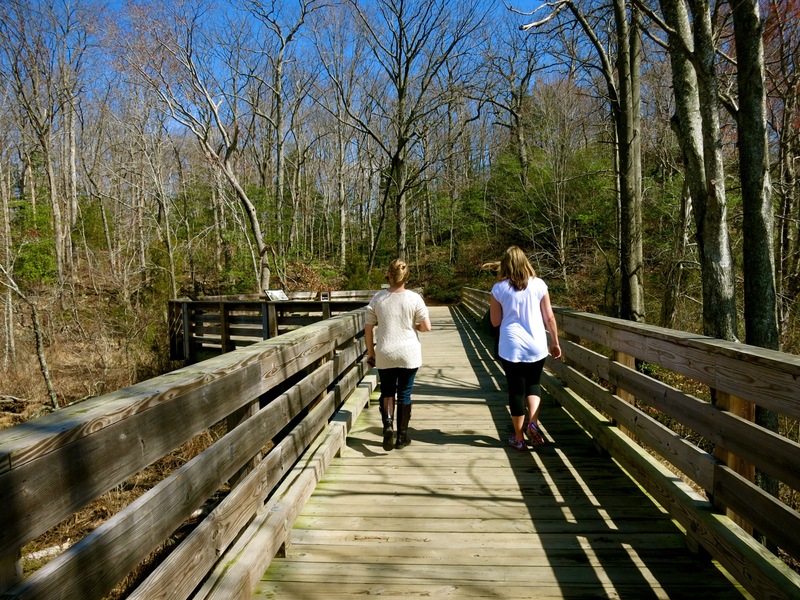 In full production from 1791 – 1795 and then after the War of 1812, Government Island has been preserved as a nature park, with a 1 ½ mile loop on boardwalks and easy paths, perfect for bird watching. Along the way, you’ll see remnants of quarried rock, scored by pick-marks, end pieces or “spoil stone,” and gorgeous river vistas. 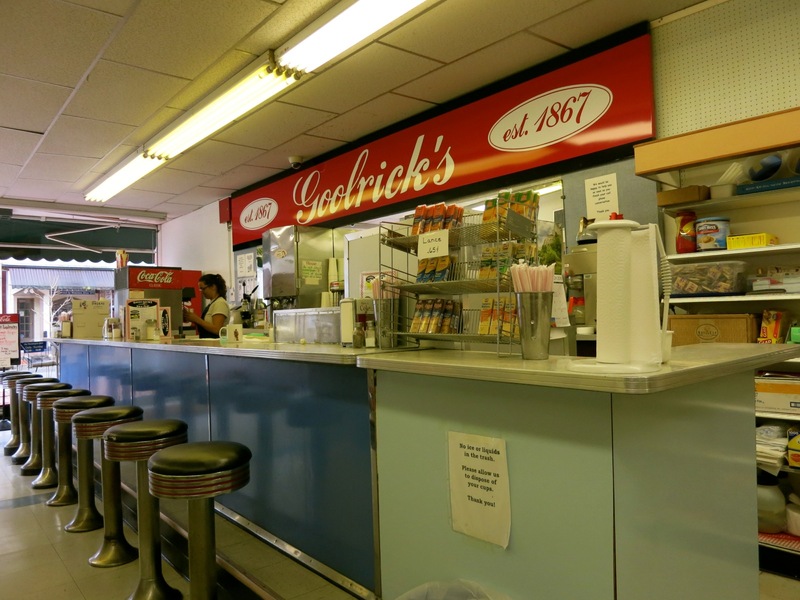 EAT/LUNCH: Goolrick’s Pharmacy. Open since 1867, go for the old fashioned grilled cheese or egg salad sandwiches and great malts. And yes, it’s still an operating neighborhood pharmacy. EAT/DINNER: Foode. Pronounced “foodie” this unassuming counter service spot, helmed by Top Chef, Joy Crump (and co-owned by Beth Black) serves some of the best meals in the region: no pretention, just excellent locally-sourced food. Throw cardiac worries to the wind and savor a slice of Pimento Cheese Toast ($1.10 per piece). The Pan Roasted Trout ($21) and Herb Marinated NY Strip ($24) are but two phenomenal choices on the menu. Even the Roasted Cauliflower, with crème fresh and puffed faro ($8), is a revelation. Menu changes weekly. EAT: Locals love La Petite Auberge – a standard, Kybecca – Asian influenced and great cocktails, Poppy Hill – Tuscan food and homemade pasta, Sammy T’s – opened by a college professor as a vegetarian café but ironically features a fantastic burger, and Paul’s Bakery – old school. 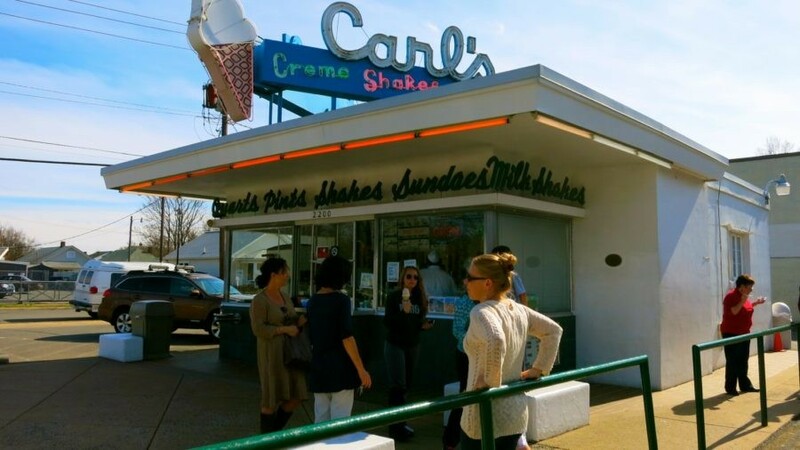 TREAT: Carl’s Ice Cream. A tradition in these parts and still family owned. 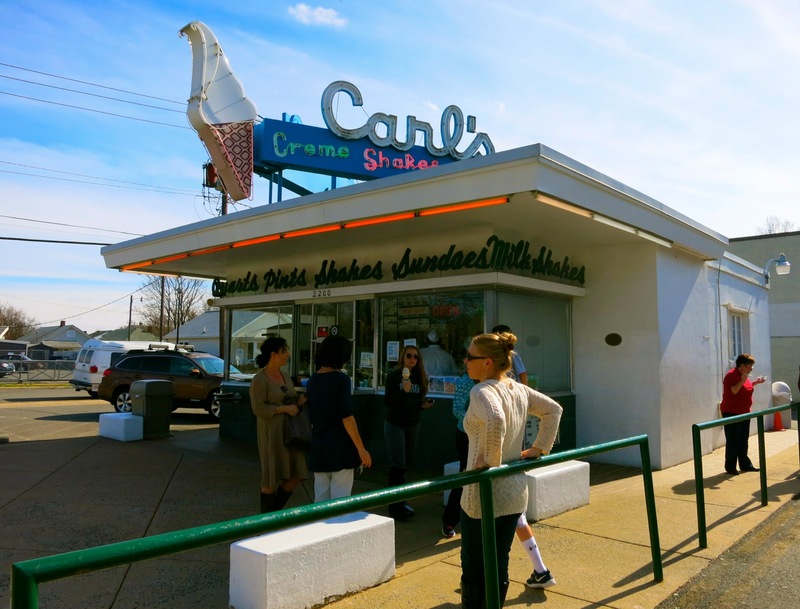 Soft serve frozen custard in a walk-up stand – Carl’s is cash only and a summer favorite. DRINK: Spencer Devon Brewing. Sounds British, doesn’t it? 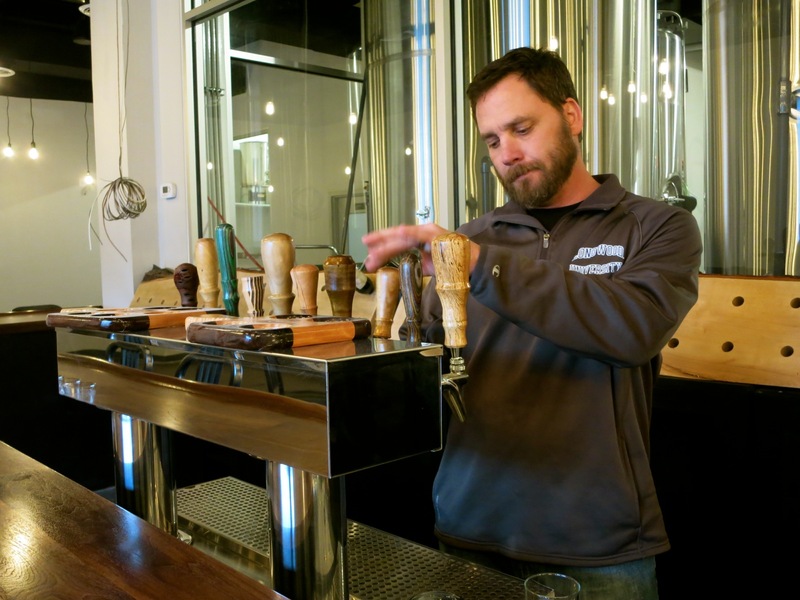 But this brand new microbrewery, owned by Sean and Lisa Phillips, is actually named after Sean’s choice of unused boy names (they have two daughters). A retired Marine, Sean is now the happy guy at the tap, dispensing fresh ales (Old Town, Rappahannock River Water), stouts (Rocko’s Milk Stout), pilsners (3-4-5) and others. All are, in a word, excellent. STAY: 1890 Caroline House. Right at the edge of the cute-boutique section of town, this beautifully decorated three-room inn balances 1920’s chic with 2010’s kick. 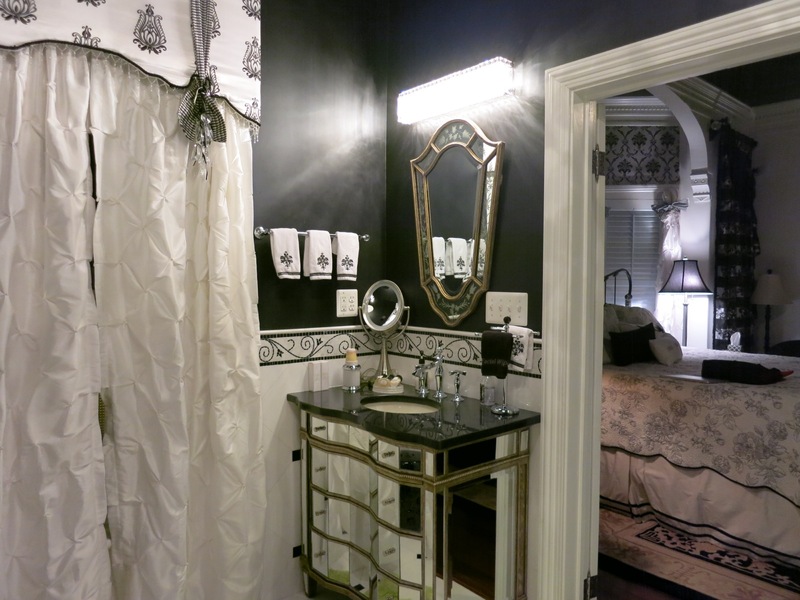 Room one – with crown moldings, bay window, black and white pallet, high tech jet tub, glass shower, wrought iron bed, gas fireplace, mirrored vanity desk, dark walls and sparkling crystal chandelier, could be one of the most popular on a “House Design” tour. For now, there is no innkeeper here, so you must call the number on the front door to arrange for a staff person to let you in. And you’ll have to park and have breakfast at the sister property, the Richard Johnston Inn (see below), a block away. Breakfast is an extravagant affair, the likes of Asparagus Crepes with Hollandaise Sauce, Lemon Eggs Over Potatoes and Peppers – or anything you prefer, really. $223-$250 per night includes welcome snacks, complementary bourbon, and three course gourmet breakfast. STAY: The Richard Johnston Inn. This second luxury inn also puts you at the center of Historic Fredericksburg. 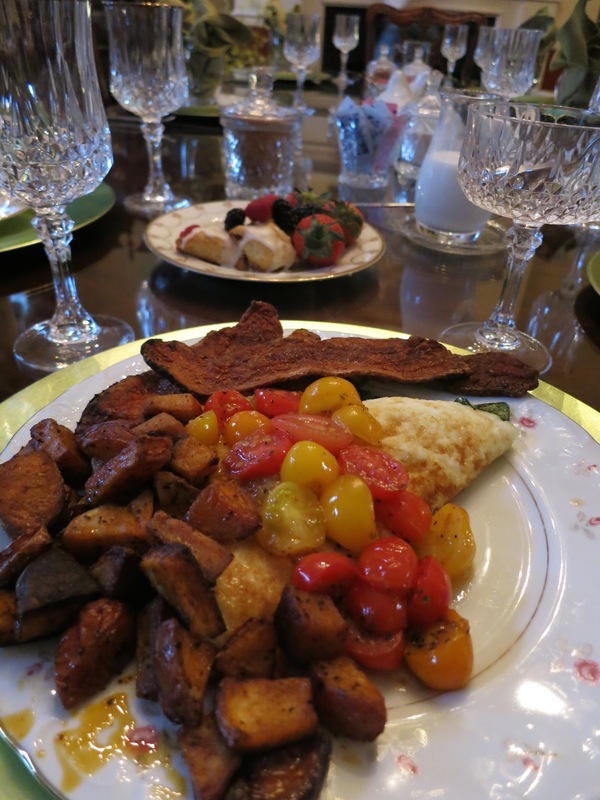 Guests staying here and at the 1890 Caroline House will be treated to a phenomenal breakfast in the stately dining room. Rooms and suites from $125-$225 include three course gourmet breakfast. 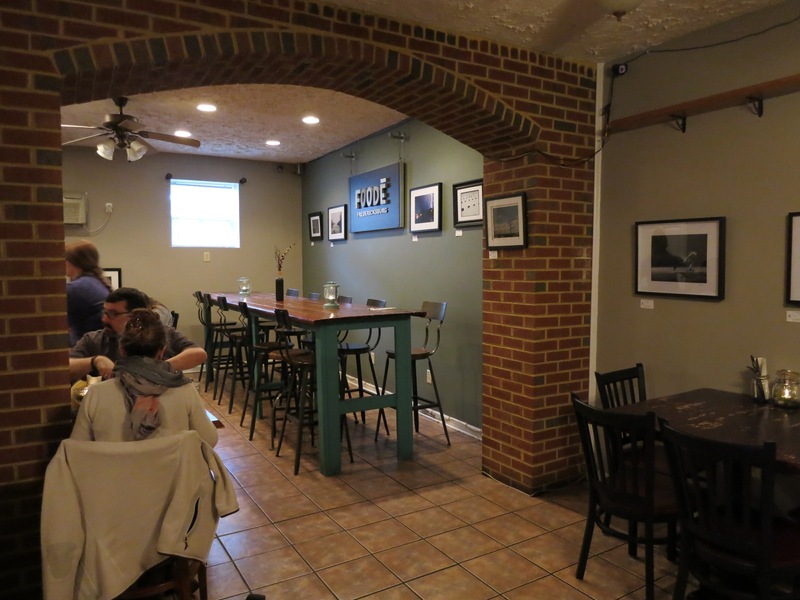 Don’t forget to stop by J. Brian’s Tap Room at the corner of Hanover and Caroline Streets in the heart of downtown Fredericksburg. We’ve been open for over 20 years and have to only large scale outdoor dining in town, as well as 24 on tap and marvelous food. Nice food…….but who’s the lazy tall guy with glasses and stupid face..Jack..”……. You need s better bar man…. 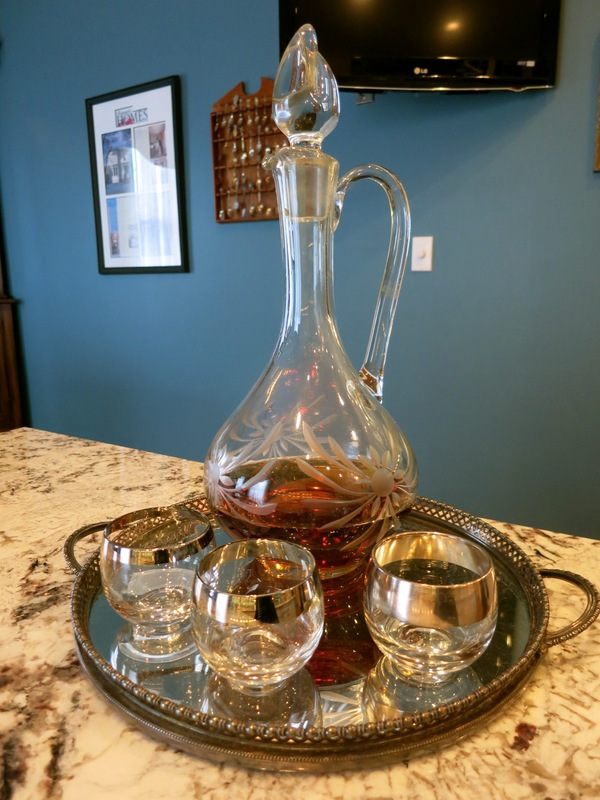 If you’re looking for a true Fredericksburg treat, stop in the jewel of Caroline street aka Spirits. Super clean, with a very classy clientele. Their cocktails are on par with any place in town. Very quaint beer garden in the back, with amazing murals. This place is also great to get hepatitis. I’m glad this article didn’t mention a lot of the bad places downtown (i.e. Castiglia’s). I’ve lived in this town for 15 years, it’s beyond boring. It was cool in the 90s, but now it’s over run with restaurants, bakeries and hipster hot spots aka antique stores. That seems to be pretty much it. No real art galleries, barely any general stores, there’s one near the train station but it’s a shame Ben Franklin closed down and became yet another antique store… I was so sad when The Blue Dog music store closed down too, had a very wide variety of tunes. Thanks for the tip, Karen – and thanks for reading! If you only have a day to visit, I recommend beginning that day with a tour on the trolley. The tour leaves from the FXBG Visitor Ctr. The guide is licensed by the city to provide historical information. The trolley takes all the pieces of the puzzle – those buildings and stories mentioned in this article – and skillfully weaves them into a story line that will make you feel as if you’ve stepped back in time. The tour has rec’d a 5-star rating by its guests. I grew up in Stafford and never heard it called Washington’s Ferry either. I even lived in Ferry Farms area. But then again I have not lived there since joining the Navy in 86. Only go back to visit family. And always go to Karl’s for Ice cream. I lived in Fredericksburg for almost 30 years. My husband and I used to eat at Sammy T’s at least twice a week and the Hot Veg with Garlic and Walnuts was my favorite. Much to my disappointment, the last time I visited it was no longer on the menu. I owned a knitting and needlework shop “Needle Artisans of Fredericksburg” for many years on Caroline St. Shops in the Burg need to stay open at least two evenings a week till 8:00. Be open say from noon to 8—no one ever came in before noon, and stop complaining that locals don’t shop there. Hey Mal! I spent one dreadfully boring semester in 1956 at Mary Washington Girls College. No one I knew ever left campus and the restrictions on doing so were quite stringent. Wish I had had the sense at the time to visit the wonderful historic sites you mention here. I left happy to return to Michigan where I was ever so happy to quote Christopher Robin! The trolley tour is a must! We went with our homeschool group and it was just as informative for the parents as it was for the kids. Our guide shared lots of history and fascinating details of many of the early residents and local landmarks around town. The tour piques your interest to visit the other museums and tours mentioned above. This article was good but would have been much better if it didn’t finish off like it was just a venue for ads for Foode (horrible people) and other retailers. 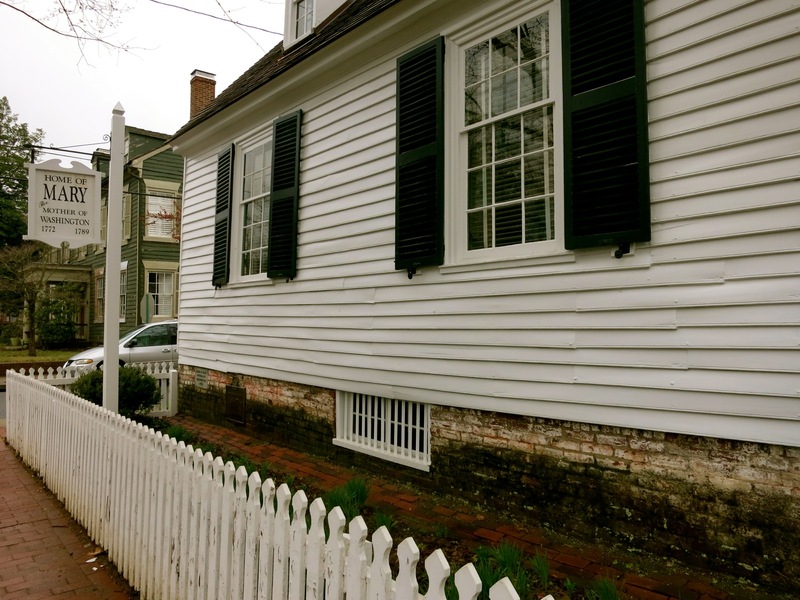 Stick to the historical charm that makes Fredericksburg great, and has proven the test of time.